Usuthu have acquired the services of the Zimbabwean international from the Limpopo outfit. 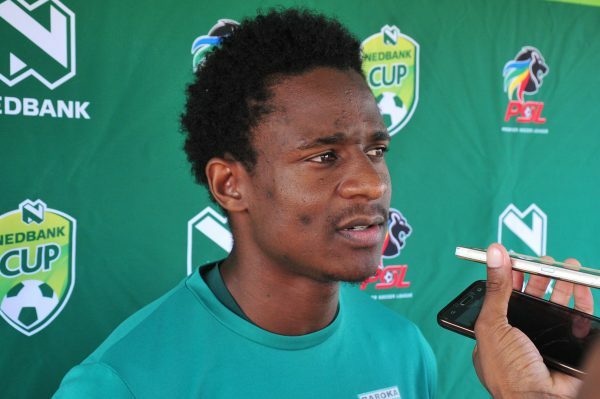 Talent Chawapiwa’s move from Baroka to Usuthu came as a surprise as AmaZulu have never talked about their interest in the player. The Zimbabwean forward was linked with a move to Kaizer Chiefs in the last transfer window, with Baroka refusing to sell him to Amakhosi or Mamelodi Sundowns, however after the departure of striker Emiliano Tade, Chawapiwa was seen as the perfect replacement for the Argentine at Usuthu. Tade completed his switch to Sundowns a few hours before Chawapiwa’s move was announced. Chawapiwa is set to join his new teammates in KZN with immediate effect. The Zimbabwean international joined Bakgaga last season and was tipped to move to another PSL team since becoming a key player in coach Wedson Nyirenda’s set up. The 26-year-old helped Baroka win their maiden trophy in the Absa Premiership late last year when Baroka lifted the Telkom Knockout cup trophy after beating Orlando Pirates on penalties.